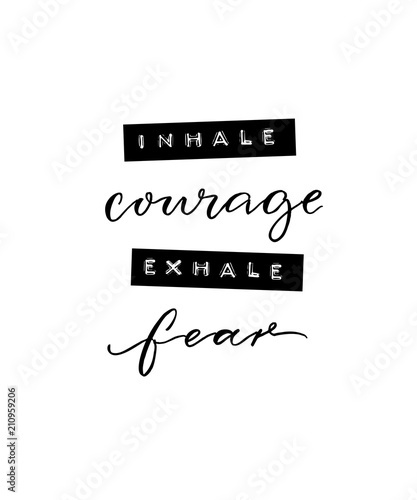 Inhale courage, exhale fear. Inspirational positive quote. Minimalistic poster with brush calligraphy and embossed tape text.